Why? 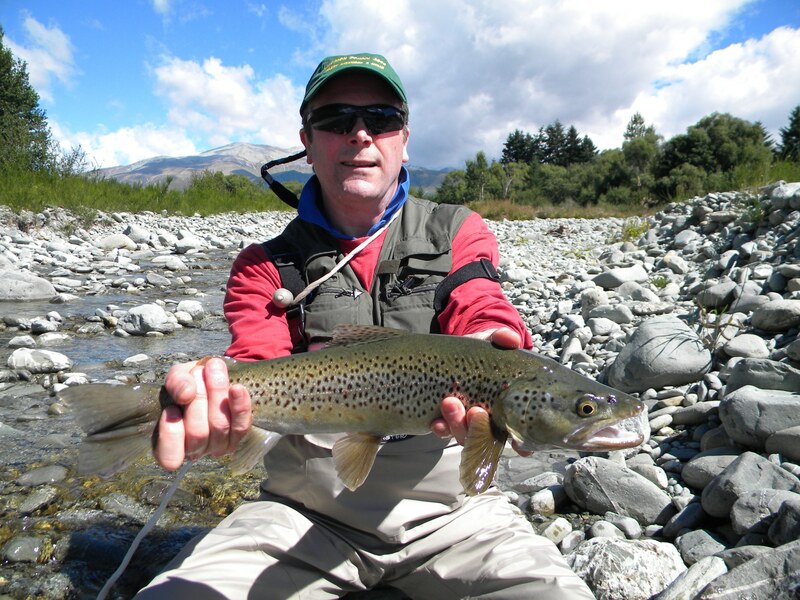 What makes NZ arguably the best trout fishing in the World?………..
• Size: for some reason – genetic or environmental – trout are “huge”. 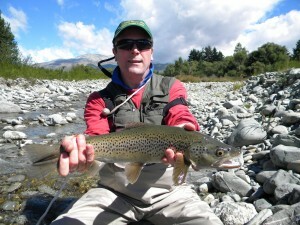 In NZ a 2lb trout is tiny and only those over 6lbs are called big, while some are over 10lbs! • Scenery: is outstanding and so varied. It’s totally beautiful, awesome and magnificent. • Weather: is so good – not too hot nor too cold. For many of us, it’s perfect! 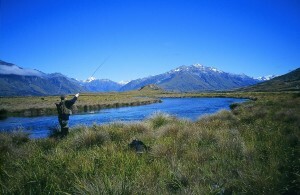 • No Nasties: There are minimal mosquitoes and no midges. No poisonous snakes, spiders, leeches or crocodiles…sand flies are the worst pest! • Life Style: The traffic is minimal/non existent, the pace of life is so pleasant. 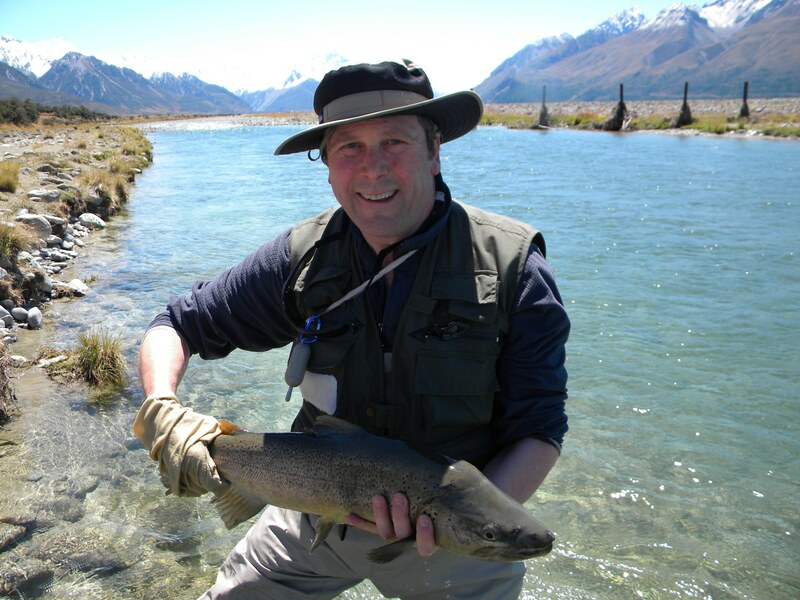 • Excitement: Most of all monstrous trout lurk in countless rivers, and the method of fishing for them -with a dry fly having “spotted” the fish first – is exhilarating to say the least. Who? For those who don’t know me, I am Anthony Steel. Fly fishing is my passion and I’m lucky to have caught many fish, over many years, in many rivers both in UK and in NZ. I’m Scottish, having grown up and always lived on a farm bordered by a famous salmon/sea trout river – the Annan. 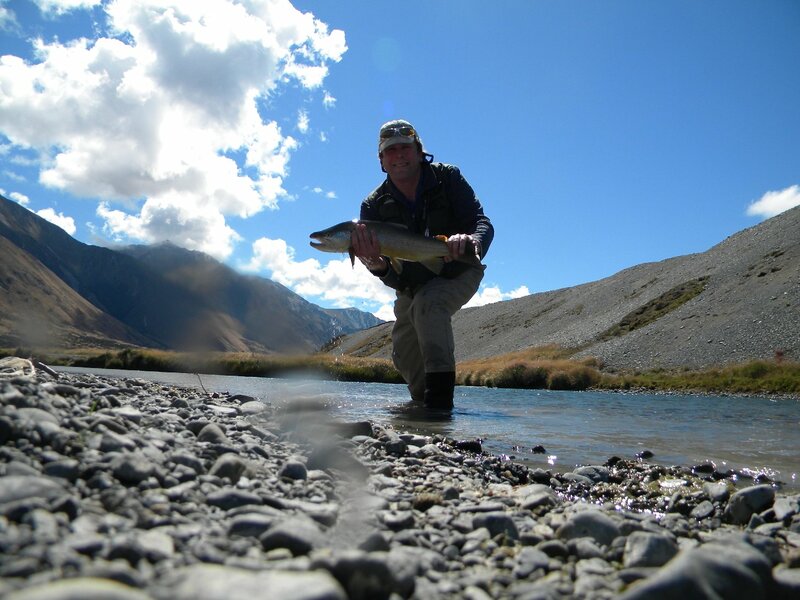 It’s one of the top sea trout rivers in Britain and it’s in the top twenty for salmon. 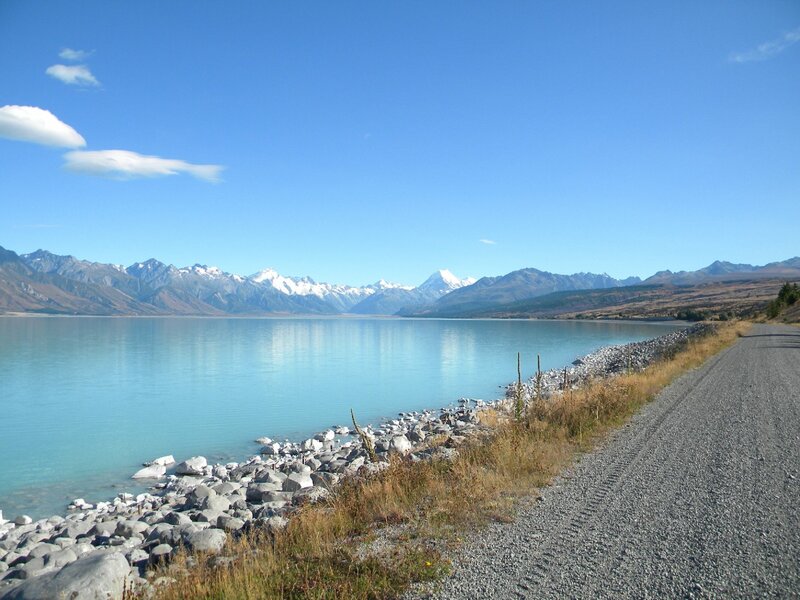 I will be recommending you use guides in New Zealand and I can fix your accommodation, but I am not linked nor formally committed to any of them. So I can advise the best for you. For more details click here. When? 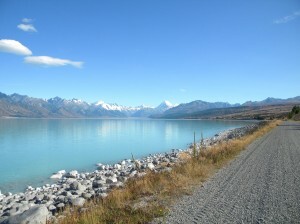 The NZ Summer – December to February – is the best time, and the months I recommend but I can advise about any time of the year. I will be there personally in December to February. Where? 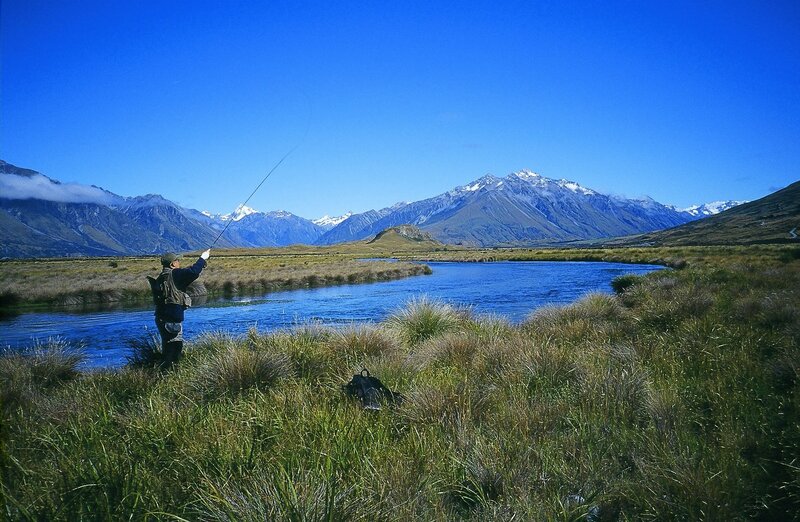 The first and most important thing to understand about the fishing in New Zealand is that it is not “owned”. 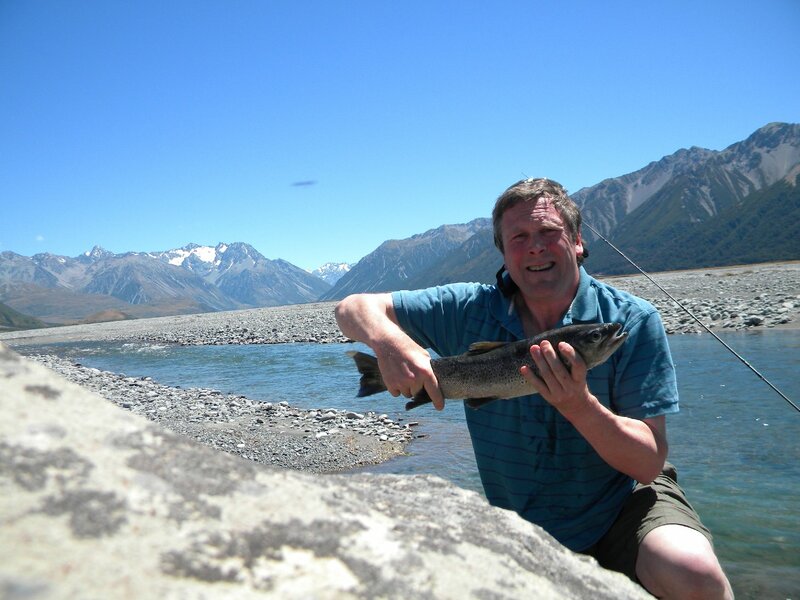 So anyone can fish just about every river, whenever they want, but I will be concentrating mainly on the varied and beautiful South Island. It has it all! How? I can advise about flying options to New Zealand but the guide prices below are all based on costs after you have arrived. It’s up to you whether you travel business or economy, whether you stop over or fly direct and which airline to take. Click here for Guide Prices.